It’s officially (and finally!) that time of the year. 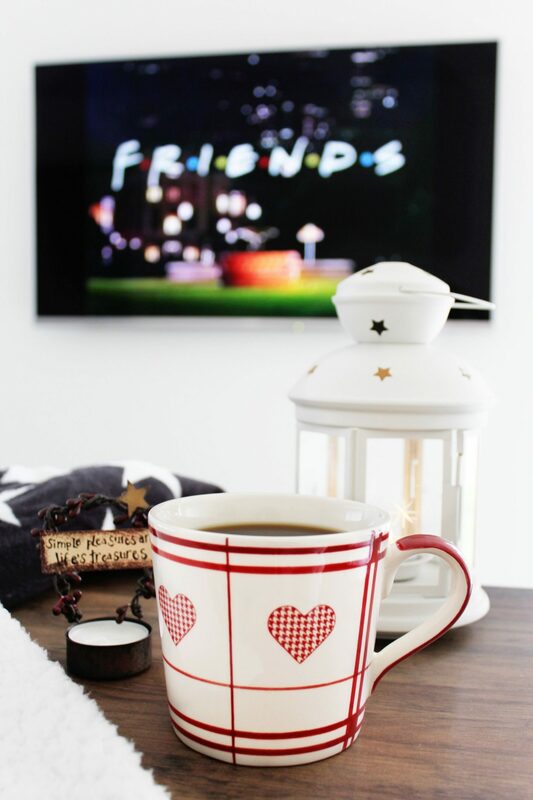 It’s perfectly acceptable (and advisory) to burn pumpkin scented candles, wear knit sweaters/blanket scarves/layers, enjoy the sound of the rain at night (and all day), order pumpkin spice lattes on repeat and get wrapped up in a cozy throw burrito on your sofa with a feel-good TV show in the background. Doesn’t all that just make you go “aahhh” and feel all warm and fuzzy? 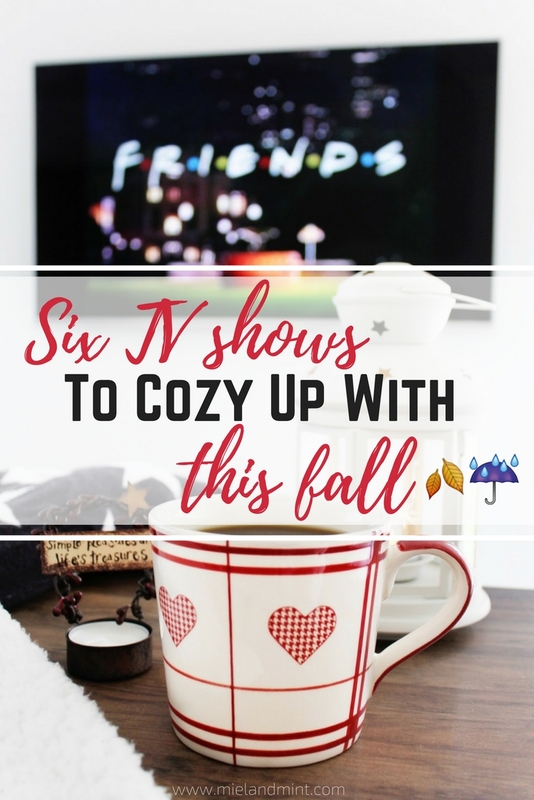 Well, I can’t deliver a PSL to your door but I can let you know exactly what to binge watch on that rainy fall night in. Like the one tonight. Most of you might know that we moved house a week and a half ago. And this time it is OUR OWN! I still can’t believe it because we had to do it so many times in the last couple of years. When we were moving to England from Northern Ireland, it was decided we leave all the furniture behind and rent out our house there as part-furnished. One day I will share the whole story. It honestly could be a movie on its own. Thriller with a punch of mystery. I told you it’s worth a separate blog post. Back to the furniture. So once we sold in N. Ireland we couldn’t, and thought it would be pointless and expensive, to transport it all across. Which means we had to get quite a lot from scratch (thank goodness for zero interest finance! ), including the TV. Imagine my surprise when lovely people from Panasonic* got in touch with me to ask if I would be interested to collaborate and talk about their new TVs. Usually, I would yawn and reply with a polite ‘NO’ to a similar collab offer because how can I talk about something and recommend it to you guys if I haven’t even tried it?! Well, guess what. It’s a different story with this one. Because… drumroll… we got the EXACT. SAME. THING – a Panasonic 4K TV from the range they got in touch with me about. And we LOVE it! So I can talk about it and tell you how amazing it actually is. Win win. This TV has seen and will see so many incredible movies and shows. Because we are very picky movie buffs who also like to binge watch a show or two. So here are 6 of the “classics” (in my books) that, in my humble opinion, deserve a watch. Or a marathon. It’s your call. They are THAT good. I was pretty much the age of the characters when One Tree Hill started rolling back in the good ol’ 2003. So it was more than relatable. But still quite mature for a kiddo I was. That didn’t stop me from “falling in love” with Chad Michael Murray and plotting to name my first newborn son Lucas after the character he played (haha). It’s safe to say it won’t happen. The plot in a few lines: Lucas and Nathan are half-brothers who don’t get along having made the same basketball team and because of the background of their parents’ relationships. The rivalry is fuelled up by Lucas’ romantic interest in Nathan’s girlfriend, Peyton. Nathan starts to date Haley, Lucas’ best friend. There is also Brooke (played by stunning Sophia Bush) who becomes a part of a love triangle. This is just season one. Then, there’s drama, relationship explorations, life evaluations, near-death experiences and whatnot. Why you should watch it: One Tree Hill isn’t just a show. You will form this unbreakable bond with each character. And you will most likely fall in love with Chad Michael Murray. You will also root for Naley (Nathan & Haley). Despite a few farfetched scenes, the show is very REAL, touching, beautiful and it teaches you a lot of lessons about coping with life. Another gem from the early 2000s. It aired for 7 seasons + the most recent return (after 9 years after the show has “ended”) called A Year In The Life. Lorelai and Rory won my heart over from the moment they first opened their mouths. This is probably one of the best shows when it comes to witty one-liners and a beautiful concoction of drama and humour. 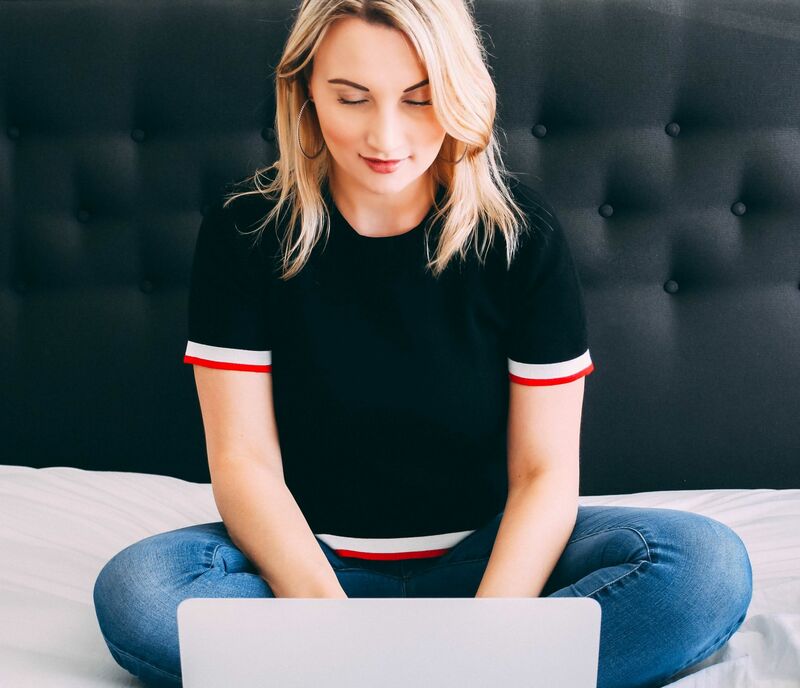 The plot in a few lines: Lorelai is a young single mother who moved to a (fictional) little cozy town in Connecticut with her teenage daughter Rory. Lorelai got pregnant at the age of 16 and had to leave the house of her “old money” parents to try and make it on her own. Rory grows up to be a smart and lovely young girl who forms the most moving best-friends relationship with her momma. They both go through life’s struggles together: in dating, at school/work, in a community and in a family. Why you should watch it: Gilmore Girls won’t leave you disappointed because their background might not be relatable to yours. Because you will find, to your own surprise, that it actually is. Every family has their issues, and it’s great to absorb some handy life lessons from these two amazing leading ladies. Quirky and crazy residents of the town add a fun touch to the show as well. I mean, you wouldn’t want to miss Melissa McCarthy as Sookie, Lorelai’s bestie. It will give you all kinds of toastie-warm now-that’s-what-they-call-a-friendship vibes. Now, this one is my absolute guilty pleasure. I LOVE this show! I genuinely L.O.V.E. (yes, I needed to capitalise it twice) it to pieces and think it’s the best thing ever. Despite being made fun of for saying that. Because The Vampire Diaries is an incredible show. Even though it’s one of those supernatural vampire dramas. It came with an absolute BANG because it showed vampires who go scary when they are blood-thristy. Oh, and they burn in the sun light. Instead of sparking. I could probably write a dissertation on each season because I lived them though and through. And even though some people might think, ‘Vampires? That’s silly’. Well, they probably haven’t watched TVD or haven’t got sucked into the storyline for some unknown and completely unexplainable reason. The plot in a few lines: The story begins with Elena Gilbert, a teenage (at the time) girl who lost her parents in a car accident, meeting Stefan Salvatore, a new “kid” in her school. Well, it happens that Stefan is a 162-year old (good) vampire who very soon falls in love with Elena, and thus the adventure begins. The series truly starts when we first meet Damon Salvatore, Stefan’s brother. He is originally portrayed as a villain but he sweeps us off our feet with his sultry stare and the infamous “Hello brother”. And that’s just first 6 episodes. There are 8 seasons which, believe me, you will soak in like there’s no tomorrow. Why you should watch it: Ian Somerhalder as Damon. That’s pretty much MORE than enough of a reason to get a box set and get your bum comfortably sat on your couch for hours. The friendships are extra strong and love hurts that much more. I never cried when I watched a TV show before. Until the scenes with Damon’s love confessions. There’s also plenty of action, drama, thriller, guessing, waiting, mind blowing and more. Each episode will keep you on your toes in the best way possible, and will leave you blankly staring into the black screen at the end of it. Processing everything that happened. And wanting more. Well, I thought The Vampire Diaries got “dark” (scary, gloomy, deep) at times. Things go REALLY dark with The Originals. And even for such a little chicken as myself who cannot stand horror movies or anything super creepy, the plot is really enticing and beautiful (apart from a few very creepy scenes). It’s freaky but it’s very different. And the cast of characters couldn’t be more perfect. The plot in a few lines: First created as a spin-off of The Vampire Diaries, The Originals soon gained the audience of its own (including people who didn’t like TVD). With so far 4 seasons, the show takes you deeper into the story of the Mikaelsons family, the original vampires. Hence, the name of the show. Despite being awfully evil, Klaus, one the protagonists, wins hearts by giving us glimpses that he has one. The storyline takes us into New Orleans where the originals return after being away since 1919. Having originally built the city, they are now back into the hostile environment of the witches, vampires and werewolves, instead of home. It’s time they claimed it back. Why you should watch it: Joseph Morgan and his perfect British accent. Jokes aside, it’s a dark but very powerful story of love, friendship, fear, death and life. Season 5 is coming out soon and, sadly, it will be the final one. You will be amazed at the intricate web of the plot that will keep you guessing and thinking “what’s next, I gotz to know!”. Also, you will fall in love with New Orleans, the French Quarter and the bayou, even if you’ve never been there before. The Originals are all about family, fighting through difficulties united, trying to find the common ground and sticking together no matter what. Pretty Little Liars… It’s definitely been a roller coaster ride with this one. I don’t want to explain why because it would spoil it for you if you haven’t seen it yet. It’s almost hard to believe that the show premiered 7 years ago. I was lured in immediately. Even though it was at times quite freaky and I had to have ALL the lights on everywhere (I used to live alone when the show first aired). The characters, their friendship and the mystery of ‘who is A’ kept me around. The plot in a few lines: The writers of the show didn’t wait for a few episodes to leave us, viewers, shook. The drama starts from the very pilot where we meet 5 main characters. One of them goes missing on the same night. And then a mystery person called “A” (later “A.D.”) terrorises and tortures girls, their friends and families. It goes beyond spooky messages like the creepy talking dolls A leaves for them as a warning. A messes with their lives inside and out, almost knowing their every steps and every secret. And it’s just the beginning. Why you should watch it: If you like a bit of spookiness but also enjoy a good almost-detective story and crazy plot twists, you will appreciate this one. Plus, if you’re into fashion, this show is going to be a huge treat. Spencer, Aria, Hanna and Emily’s outfits will be better than Pinterest when it comes to style inspo. Also, Hanna and Caleb’s relationship. It’s too sweet. You guys, where do I even start talking about the show I have LOVED for 15+ years! It is truly one of those very rare breed evergreen shows that will be enjoyed for many many many more decades and generations. If you don’t know anything about Friends, you might have lived under the rock from 1994 or you’re 5. And I don’t think I have 5-year olds among my readers. It’s so hard to believe that it aired back in the 90s. Because it’s so relevant in 2017! 10 brilliant seasons later, I am not ashamed to admit I have watched them all at least (!) 30 times. I know the lines before the characters say them, and the show is still as interesting, funny, moving and beautiful as it was the first time I watched it. The plot in a few lines: How does one fit in 10 years into a few lines? Yup, it’s impossible. I will try though. As you most likely already know, the storyline revolves around 6 best friends: Monica, Chandler, Rachel, Ross, Joey and Phoebe. The pilot starts with Rachel walking into the (now world-famous) coffee shop Central Perk in a wedding dress looking for her former classmate, Monica. The rest is history spread out into 10 seasons and 10 years. You literally grow up with the characters and they are always relevant, amusing and sweet. You learn so much from them too! Especially Joey because he’s very “wisdomous” (haha). Also, Ross and Rachel. Even though they were “on a break”, “he’s her lobster”. Told you, I know every quote! You can test me any time. Why you should watch it: Because you will LOVE it. No matter what age you are, where you’re from or what you do. I have never met anyone who didn’t like Friends. And, if for some reason, you are not a fan, please get in touch with me about it at 15 Yemen Road, Yemen. Leave a comment and let me know what is your favourite TV show of all times? Have you seen any of the series mentioned and what do you think about them?